Luxury Abounds in this stunning gated, NON-RENTAL, OWNER's PET FRIENDLY Gulf Front Complex! Million Dollar views can be yours for Under $800,000! 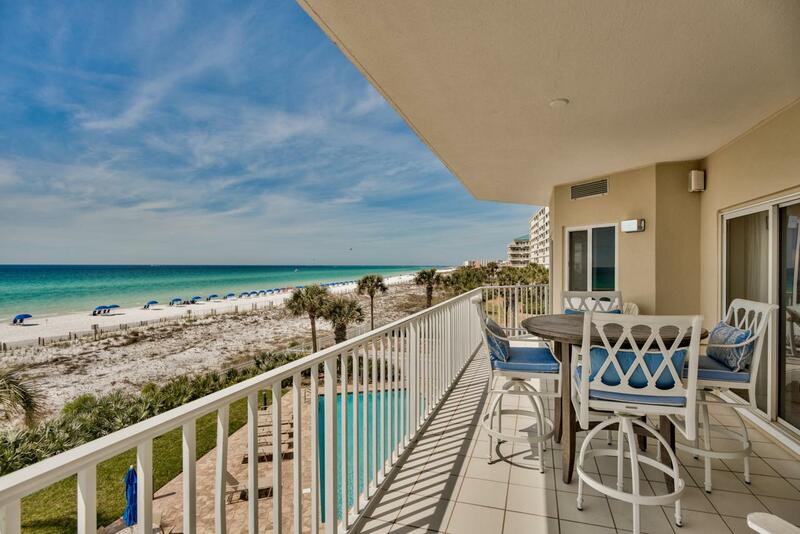 Start living the Gulf front lifestyle you've always dreamed of with NO noisy, boisterous renters next door. Plus Owner's pets, of any size, are welcome! Offering large living spaces & spectacular Gulf views from almost every room, this condo is the perfect Primary or 2nd Home. Well appointed & offered fully furnished, this 3 BR home features TWO Gulf front masters w/ensuite bathrooms, & two prime, large outdoor living spaces. 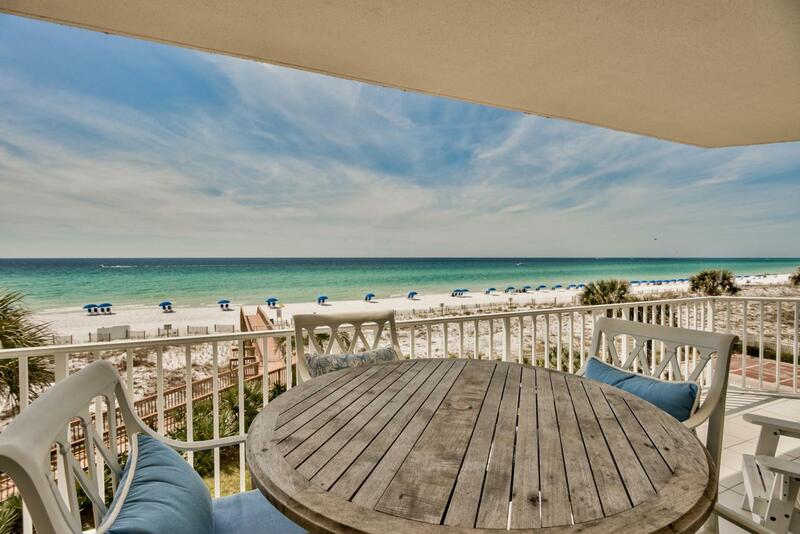 The Gulf facing Balcony stretching the entire length of the Living Area, Master Suite, & Secondary Master Suite is the perfect place to relax or entertain w/the pure White Sand Beach & sparkling Emerald Green Wateras the perfect backdrop! 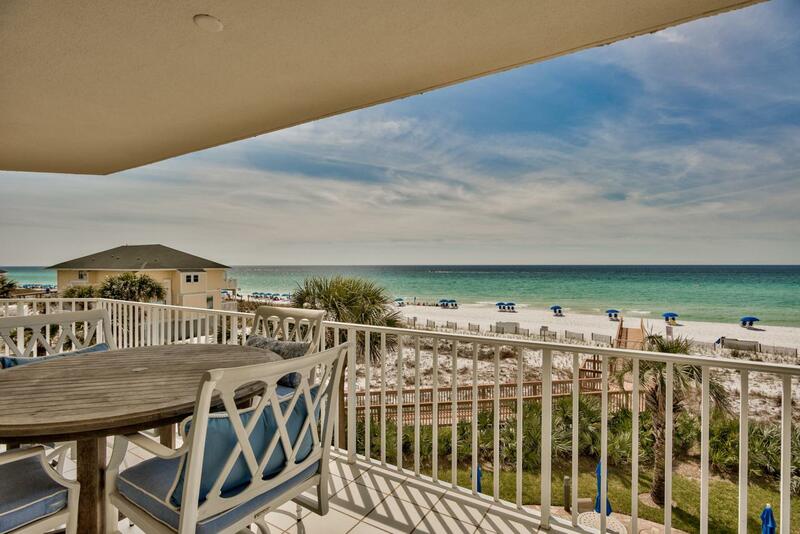 An additional North Facing balcony w/ grill & extra storage closet offers Destin & Harbor views. The balcony has a gas stub & Buyer can elect to upgrade to a gas grill with HOA coordination (additional Buyer cost associated with up-grade). From the moment you step in the front door of this condo you will feel at home in its understated luxury. 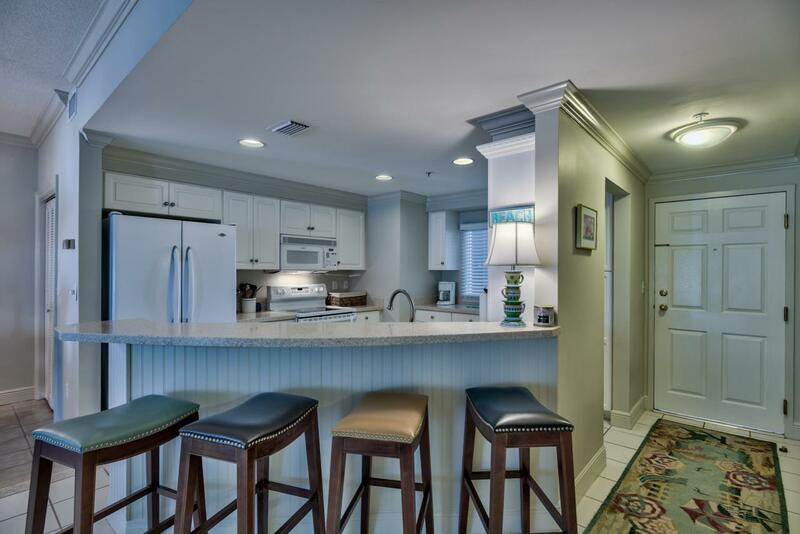 The spacious kitchen, with clean white cabinetry & large bar area, is perfect for entertaining. The open concept floor plan lends a large amount of space for the living area and plenty of room for the Dining area tucked off to the side. You will be blown away by the size of the Master Suite with large floor to ceiling windows that span the south side of the room. The en suite master bathroom has been completely remodeled with an expansive master shower, functional built-in storage, and dual vanities with an added make-up area. On the opposite side of the condo sits a spacious Secondary Master Suite with spectacular views and an en suite full Bathroom with beautifully updated tile floors. The 3rd North Facing Bedroom offers plenty of room, two twin beds and an en suite bathroom that also opens to the common areas. A full sized laundry room with washer & dryer provides convenience. The condo's overall clean, crisp color scheme highlights the natural beauty of its surroundings. The unit also comes with a 7' x 4'11" climatized exterior storage unit, located on the 1st floor of the complex just off of the pool deck. Offering a power outlet & a mini fridge, this storage unit is perfect for keeping cool drinks close by the pool & beach. Holiday Isle Towers complex is truly unparalleled. Completely gated complex adds security and peace of mind. The common areas have recently been updated and are stunning. The complex also offers a community room, exercise facilities, beautiful pool deck with a Gulf Facing pool & spa, and outdoor shower. Sun tan comfortably on the Beach, as the complex arranges 2 Beach Chairs and an Umbrella for its owners seasonally from March to October. If you have a large four-legged friend(s) & thought condo living was impossible, this is the complex for you! Happy, friendly, well cared for pets are welcome, regardless of their weight. It is truly rare for a Gulf Front Complex in Destin to be so accommodating to our furry companions. Although, the complex is so well cared for you would never know that pets reside here. The owners & the HOA take great care in keeping the complex at the top of it's game. In recent years they have added new pavers to the pool deck and painted the entire building. The HOA is in good standing & is able to make improvements without costly assessments to its owners. A condo of this magnitude rarely come available, Don't Hesitate to Set-up a Showing Today!